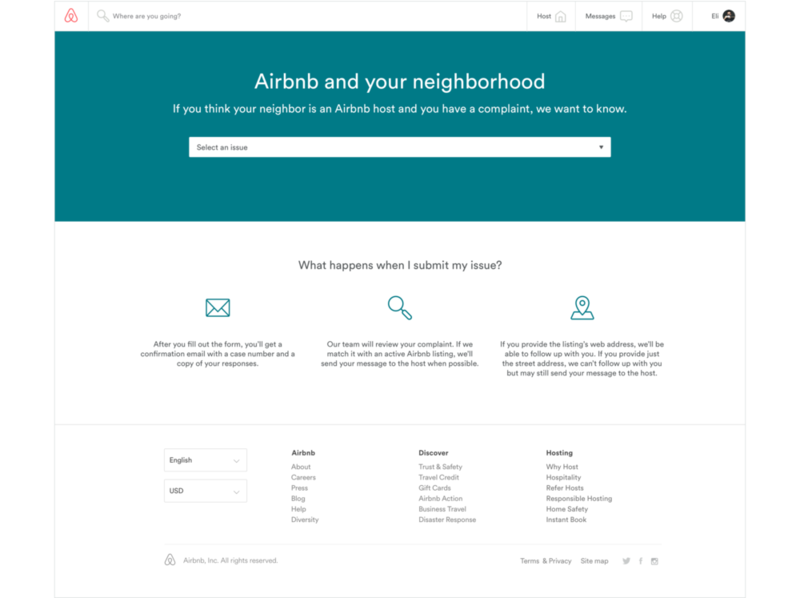 Airbnb's Neighbors, was an effort to give the community outside of the Airbnb ecosystem a line of communication to voice their concerns. During user testing I quickly discovered that setting post-form submission expectations was key. 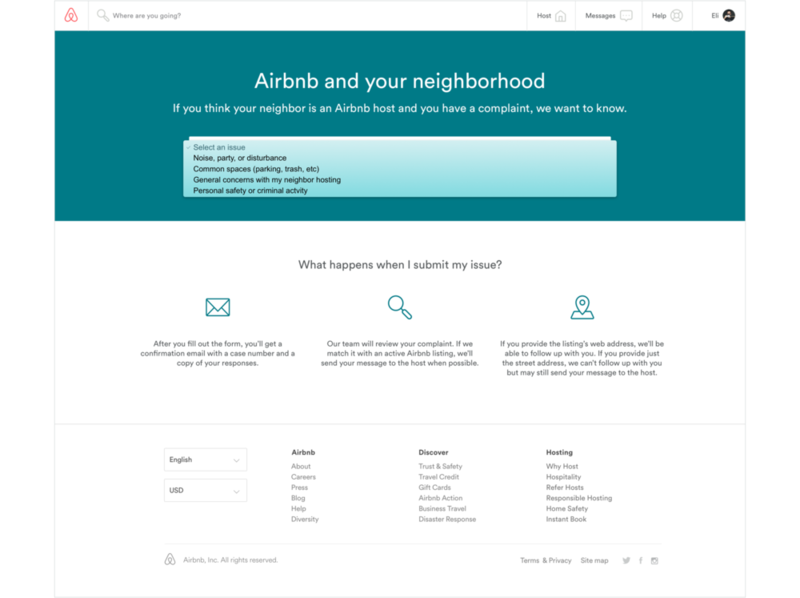 Many potential users of this page are skeptical of Airbnb following up with their concerns. This is why I dedicated the majority of the content on this page to "what happens when I submit my issue". My goal was to remove as much friction as legally possible from the flow while leveraging content to help build trust. The response to this tool has been largely positive and considered a good first step towards addressing a well known complexity of the sharing economy.